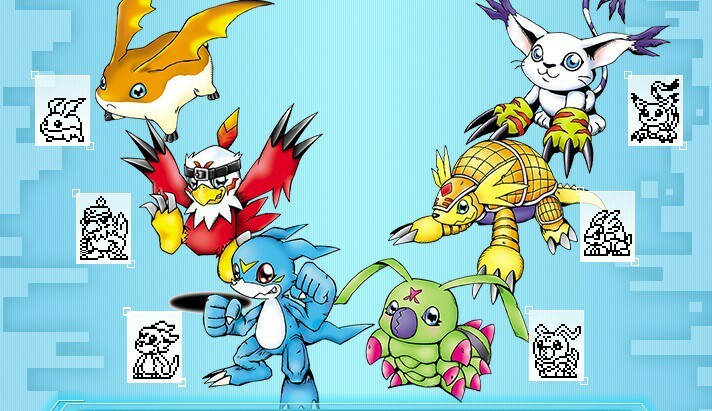 With the 15th anniversary of Digimon Adventure 02 this year, Digimon fans are revelling in nostalgia. 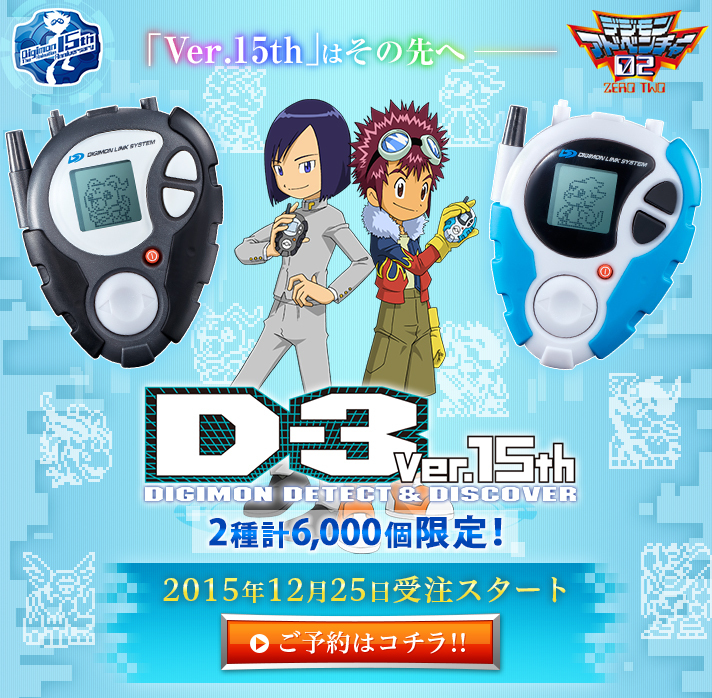 For those who loved playing with Digivices, an upgraded version of the D-3 associated with that show is here: D-3 ver. 15th. 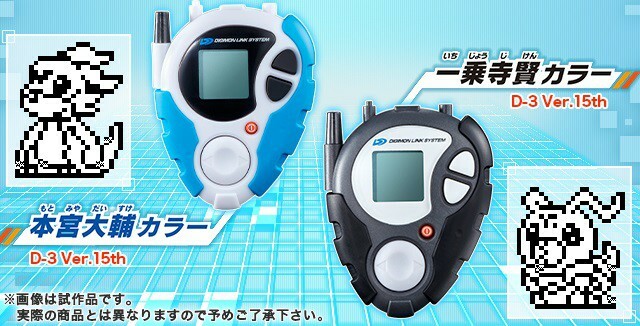 Although they come in two colors — white and blue, modeled after Davis’s (Daisuke’s), and black, modeled after Ken’s — customers can choose six different partner Digimon : Veemon, Wormmon, Patamon, Hawkmon, Gatomon, and Armadillomon. Despite its close resemblance to the original model, the D-3 has been rebuilt. 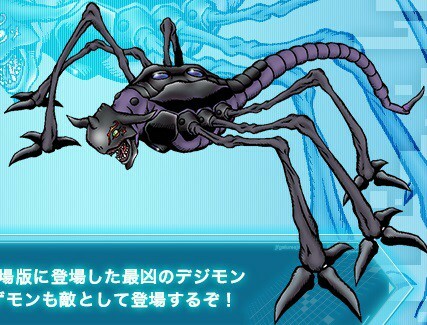 Over 150 different Digimon are included, and over 80 can be raised from eggs. 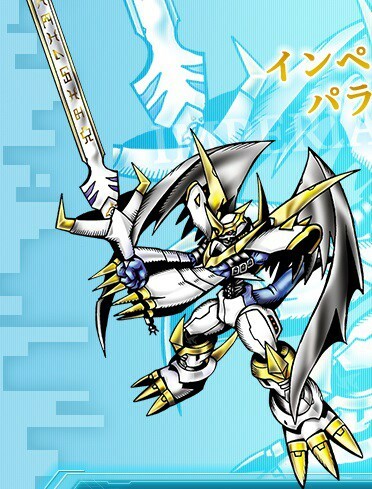 They include the strongest Digimon , Imperialdramon (Paladin mode) and Armageddemon. The game map has been revamped to better reflect the world of the TV series. 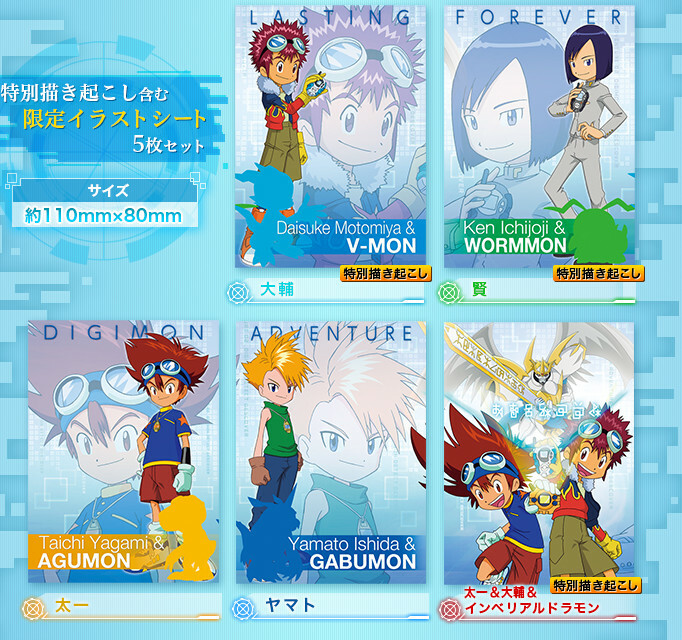 Seven different settings correspond to the anime’s story progression: the Digital World (from Episodes 1 – 21), New York (from Digimon: The Golden Digimentals ), the Digital World again (from Episodes 22 – 37), Japan (Episodes 38 and 39), around the world (Episodes 40 – 42), Tokyo (Episodes 43 – 50) and Odaiba (from Digimon: Diaboromon Strikes Back ). 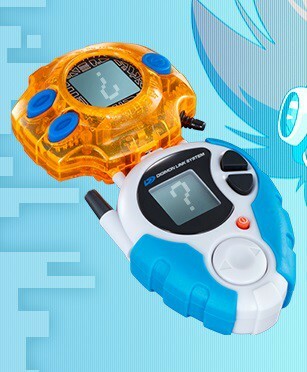 The original Digivice will also be rebooted for the 15th anniversary, and the D-3 is compatible with it, as well as the older Digivices (the D-3 series, the Digivice series, the Digimon Pendulum series, and the Digital Monster series). Connecting the D-3 ver. 15th with a Digivice ver. 15th will reveal a secret message. 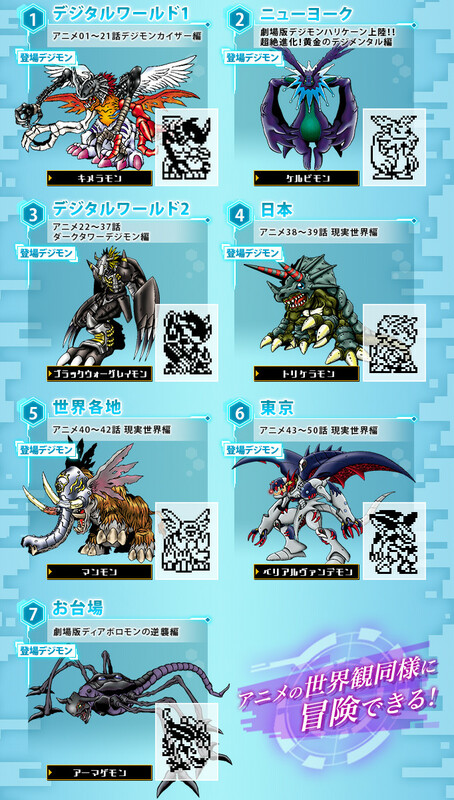 The new D-3 will also come with these exclusive illustrations of the old Digimon series’ protagonists.